A recent study co-authored by a Johns Hopkins Carey Business School marketing expert says this feeling of revulsion is not limited to counterfeit products; it also may extend to the genuine items being copied. This should raise alarms among the makers of legitimate products that may be subject to counterfeiting, the study warns. “That’s a key finding of the research, that the damage caused by the counterfeit market is broader than is currently believed. 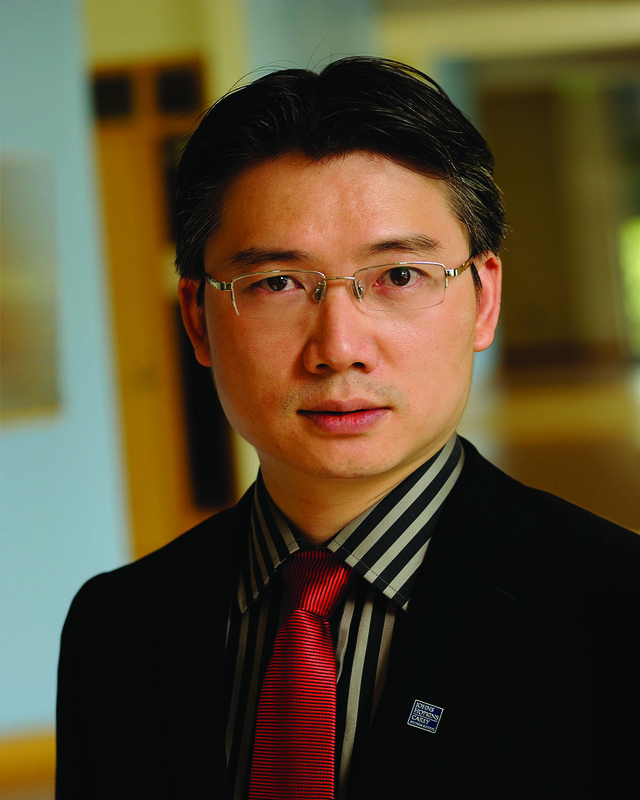 The damage, in terms of negative feelings, can also be seen in how consumers regard genuine items that resemble the fakes,” says Assistant Professor Haiyang Yang (below) of the Johns Hopkins Carey Business School, the corresponding author of the paper, which appeared in the Journal of Consumer Psychology. There’s nothing fake about the size of the worldwide market for counterfeit products. According to research statistics cited in the study, the annual global trade in counterfeits was valued at $1.7 trillion in 2015. By 2022, it’s expected to grow by about 150 percent, to $4.2 trillion. Common categories for counterfeited items include apparel, electronics, beverages, food, pharmaceuticals, tobacco, and parts for airplanes and automotive vehicles. The researchers conducted five experiments using different products and different investigative approaches. In some of the experiments, study participants were asked to use genuine brand-name pens and computer mice, and were either told by the researchers that those genuine products were fakes or not told this information. Participants expressed higher levels of moral disgust and performed less well on tasks using the items when they perceived those items as fakes. Another experiment revealed that the moral disgust toward counterfeits seemed to affect how participants dealt physically with the products. Two groups of participants were given a genuine brand-name pen to use, though one group was led to think that the pen was a knockoff. Both groups were told they could use disinfecting liquid and tissues to clean their pens during the experiment. The people in the “counterfeit” group used more disinfectant and tissues and spent more time cleaning their pens than did the people in the other group. “Just the perception of counterfeiting can trigger moral disgust. It doesn’t matter whether the product is actually genuine or fake; if consumers perceive that a product is phony in some way, they will likely feel revulsion toward it. As a consequence, the product’s efficacy is harmed in the mind of the consumer, which in turn poses a hazard to the firms and the industries making products that are susceptible to being copied,” Yang says. Furthermore, another experiment of the study shows that when participants were initially exposed to a supposedly counterfeit pen (vs. not), they performed significantly worse in an unrelated line-drawing task using a genuine mechanical pencil resembling the “counterfeit.” That is, the awareness of the fake pen infected the genuine pencil in participants’ mind, degrading their usage of the item. According to the researchers, their study has practical implications for industry in that it shows businesses should tread carefully when confronting the counterfeiting problem. Companies sometimes alert the public about the existence of counterfeit versions of their products. However, as the study suggests, this strategy may backfire through the unwitting promotion of a link between a genuine product and a fake that is imbued with moral disgust. The paper, “How Counterfeits Infect Genuine Products: The Role of Moral Disgust,” was co-authored by Moty Amar of Ono Academic College in Israel, Dan Ariely of Duke University, Ziv Carmon of INSEAD, and Haiyang Yang of Johns Hopkins.